Tamed acid cleaner is a complexed mineral acid with many of the desirable attributes of strong mineral acids that's safer and more pleasant to use. Nonfuming, nonflammable formula is strongly inhibited to protect bare metal surfaces and minimize corrosion during equipment cleanup. Plus, efficient corrosion inhibitors reduce the rate of acid attack on ferrous metals. 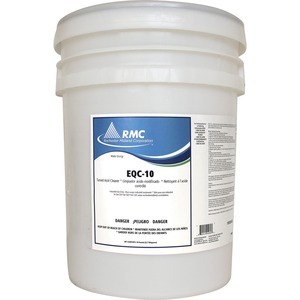 Liquid acid scale remover is perfect for fast, effective removal of hardness scale, rust and other mineral deposits from heat exchangers, condensers, cooling jackets, process vessels, pipings, valves and more.